Actually, I wasn’t just a boy. 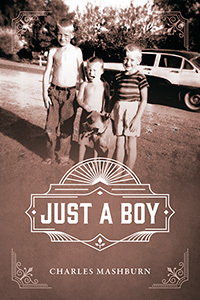 I was every boy in the good old USA who had the good fortune to grow up in a small town in the 1950s and 1960s. I didn’t have an extraordinary childhood, but rather, I had an extraordinarily ordinary childhood. There were tears and laughter, good times and bad times, friends and enemies, but most of all, there was a freedom that seems to have vanished from this land we live in. We were free to be kids in a way that generations to come will look back on with envy, and this book will take you back to those days when the living was easy, but sometimes the wrath of Dad wasn’t. It will take you back to that first fight, that first kiss, and all the glorious (often inglorious) times that came after all the firsts of your childhood. I dare say there will be times as you read these (sometimes slightly embellished) accounts of my youth, when you will say, “Hey! That’s me! He’s writing about me!” And you know what? You might be right. Right, that is, if, back in the day, you were just a boy. A self-proclaimed gypsy of sorts, Charles Mashburn has traveled extensively in the US. As a child, he lived in numerous states and went to nine schools in the first three grades. At age nine, he and his family settled in the small town of Buckeye, Arizona, but after graduating high school, Charles hit the road again. He’s somewhat settled now in the small city of Longview, Texas, but continues to travel with his wife, Sherry.